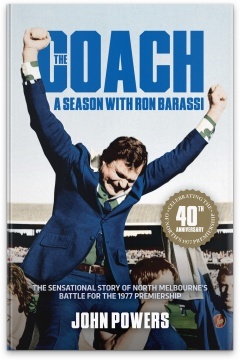 The Coach is the ultimate inside story about football, and the North Melbourne coaches, players and personalities who were game changers. In 1977, writer John Powers was given open access to the North Melbourne Football Club when revered coach Ron Barassi was a dominant figure in the game. The book that emerged from that season, The Coach, recorded the months of often brutal training leading up to the spine-tingling Grand Final draw between North Melbourne and Collingwood, and on to North Melbourne’s ultimate victory. This victory, against all odds, is considered one of the finest premierships in the game’s history, as the Kangaroos not only endured an unprecedented five matches, but also came from 27 points behind at three-quarter-time in the Grand Final to force a replay. Nominated as ‘the bible on motivation’ by The Age, John Powers’ account of the team’s massive commitment and Barassi’s extraordinary motivation techniques remains as relevant and fascinating today as it was when first published in 1978. 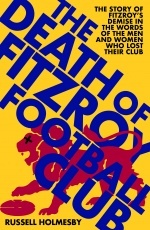 Sadly, John Powers died in 2007, aged 72, but The Coach remains his eternal legacy, a true masterpiece of sports writing. Forty years after North’s extraordinary season, The Coach describes an era of football that preceded the professional approach of the modern game, but is indication of how the game was in the process of changing, driven by the master coach, Ron Barassi. The Slattery Media Group is proud to publish this work again to commemorate this anniversary, and to pay tribute to John Powers’ ground-breaking work.